Psoriasis can be painful and embarrassing and sometimes you may feel as if the itching will never stop, so some sort of psoriasis treatment is in order. Psoriasis is very common and 5.8 to 7.5 million people have it. Unfortunately it is very commonly misdiagnosed as other skin disorders so improper treatment is given, most of the time it goes undiagnosed. Psoriasis has a great deal of effective treatments available and you can easily get help for your skin. There are three steps that your doctor will take for psoriasis treatment. The first psoriasis treatment that your doctor will try is a topical agent. This will be a cream, spray or gel that you can apply to your patches of dry skin to help alleviate the discomfort and also help to make your sores go away. The active medication in a topical agent can vary with any of the following; corticosteroids, retinoids , vitamin D-3, coal tar, or anthralin. 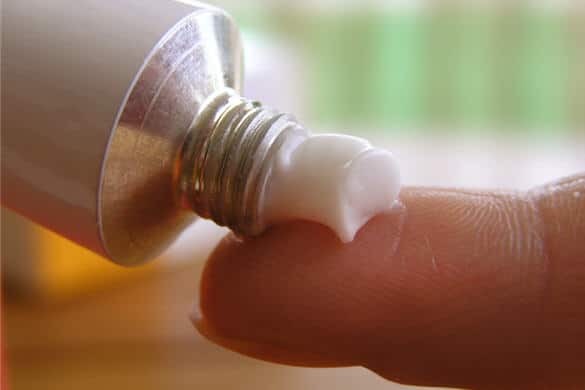 The only negative to topical agents is that they eventually become ineffective and lose potency, so your symptoms will come back and you will have to switch to a different psoriasis treatment. If you’re doctor finds that topical agents aren’t doing a good enough job for you the next psoriasis treatment is Phototherapy, also called light therapy. This treatment is especially used in people who have wide spread psoriasis. There are two different kinds. The first is Ultra Violet (UV-B) light which is a form of sunlight. It has been found to be a very effective treatment for some psoriasis patients. The only drawback is that excessive treatments can lead to skin cancer with long term use and the treatments take a long time. The second form of Phototherapy is PUVA. This is when you combine Ultraviolet-A (UV-A) and a medication called psoralen, this drug will make you more susceptible to the UV-A rays. Once again you have the negative that long term use of this treatment can lead to skin cancer. If your doctor has exhausted all of these other psoriasis treatments, they will talk to you about trying some systemic agents. A systemic agent is any drug that can help your psoriasis. These aren’t used unless it is an extreme case or if all the other options have been tried. The reason is that they have a great deal of side effects. You don’t have to suffer with psoriasis on your own. With your doctor’s help and some psoriasis treatment, you won’t have to deal with the itchiness and discomfort any more.